The marvelous Grand Canyon National Park, which is considered one of the “Seven Natural Wonders of the World,” has been closed for over a week now due to the government shutdown. Locals, whose livelihood’s depend on the revenue generated from the National Park, have had enough and are speaking out through organized protests. Yesterday, a group of 100 residents, business owners and international tourists gathered for a march in protest of the National Park closing. A local food bank assisted the protest by providing more than 600 food boxes for workers that have lost wages during the financial fiasco. This was illustrated through the arrest of Vietnam veterans at the NYC Memorial, and the harassment of WWII veterans in the National Mall. The government even employed National Seashore officials to run fisherman out of the waterways near the Padre Island National Seashore with security boats. A total of 21 citations have been issued to people for entering the Grand Canyon, all of which require a federal court appearance, even if the charges are dropped. As if it couldn’t get any more outrageous, the National Park has ramped up security and is currently monitoring the park around the clock! Park officials have been ordered to patrol the Grand Canyon 24 hours a day, seven days a week, a measure that’s obviously not cheap. The Grand Canyon, arguably one of the most popular National Parks in the U.S., financially depends on October’s revenue, as it’s considered the peak season for tourism, typically hosting 18,000 visitors throughout the month. 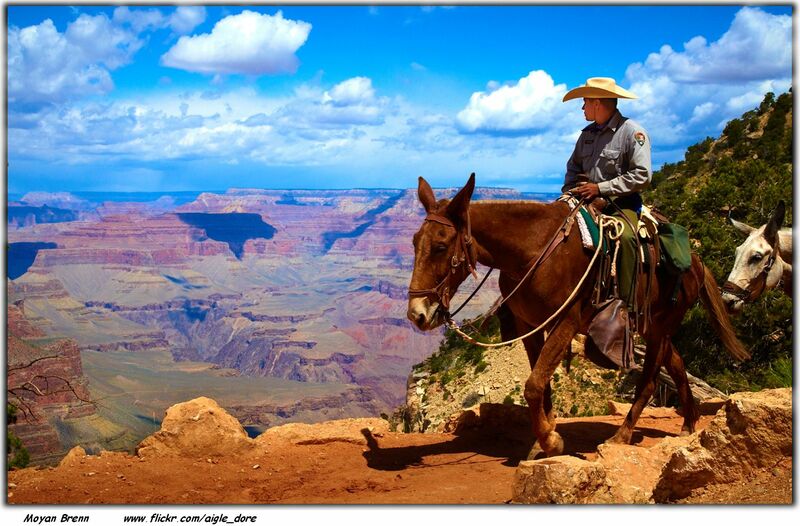 Grand Canyon Chief Ranger, Bill Wright, estimates that local businesses are losing $200,000 a day in revenue and approximately $8,000 in daily sales tax. It’s an “economic disaster,” said Wright. The National Parks Conservation Association estimates that over the last two Octobers, Ariz. has generated an average of $2.7 million daily throughout their 24 national parks, and an average of $1.2 million a day at the Grand Canyon alone. Over 2,000 employees have been left without work after the park closed last week, forcing many to search for new jobs. In the mid-1990s, the park was reopened during a previous government shutdown using private and public monies, but this time the feds have rejected Gov. Jan Brewer’s request to reopen, despite the city council approving $200,000, and local businesses pledging $150,000 towards funding for a reopening. The government shutdown has even left the park’s website temporarily unavailable. The establishment is seemingly expending more resources on employing security to keep people out, than it would cost to remain open, especially with the $350,000 that’s been offered up by the community. Locals argue that minimally, the park could remain at least partially open. Unlike park service employees, local businesses and park concession staff will not be eligible for possible back-pay from federal furlough. For them, the economic impact is permanent. See below for a local news clip featuring the protestors. Below is a link petitioning to keep the memorials open for our vets.